Liverpool: A Tribute to The Beatles is returning to perform at the Santa-Cali-Gon Days festival in Independence, MO. The band will perform at 7 p.m. on Sunday, Sept. 2, 2018, on the Community Stage (BG2)* on the north side of the historic Independence Square. The concert is free and open to all ages. Santa-Cali-Gon Days celebrates the history of the Santa Fe, California and Oregon trails, which saw Independence as the starting hub for wagon trains headed west. The festival, held during Labor Day weekend by the Independence Chamber of Commerce, draws tens of thousands to downtown Independence for food, music, games, a carnival and hundreds of vendors. Liverpool has performed at Santa-Cali-Gon Days a number of times since the mid-2000s. 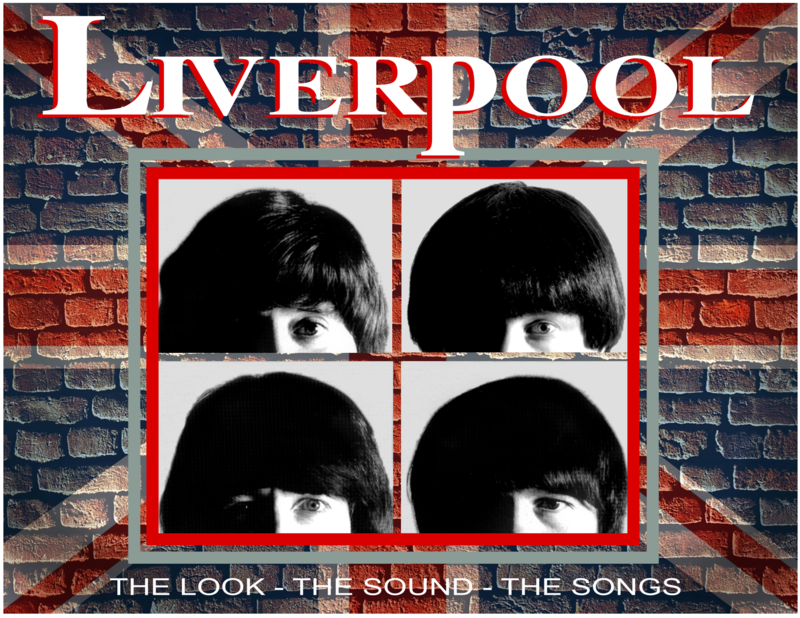 Always a crowd favorite, Liverpool brings the Look, the Sound and the Songs of The Beatles to the stage with authentic costumes, vintage instruments and amplifiers and a one-of-a-kind video show. Get ready to dance, sing along and be transported back to where it all began: Liverpool. Based in Kansas City, Liverpool is a 2015 inductee into the Kansas Music Hall of Fame. *Note: Liverpool performs on the north side of the Square this year, next to the Pharoah Cinema.